from. This is because the OS is available to a lot of manufacturers. However, people do face a kind of tough decision when they are fans of the iOS or the Windows Phone, but they want to try out what the Android Ice Cream Sandwich has to offer. For people who want to try out what Android has to offer but can’t or don’t want to purchase a new device have a new way they can do this by simply running the Android 4.0 in visualization on their desktops or laptops in order to experience the Ice Cream Sandwich. You too can learn how to do so by reading below! 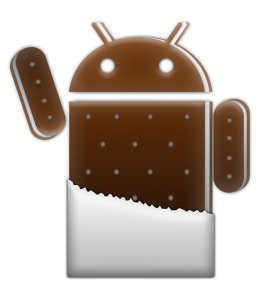 As many of you might already know, the Android 4.0 is an operating system. However, here we won’t be running it on a dual boot setup as we’ll install as well as run the ICS in VirtualBox, which is a free of charge virtualization application. The major feature of VirtualBox is that it allows you to install a secondary OS inside itself. For the people who are fans of the Windows Phone and the iOS, VirtualBox allows them to experience Android. By reading the simple steps mentioned below, you’ll be able to know what the Ice Cream Sandwich has to offer! Step 1: The first thing which you need to do; visit the official website of the Oracle VM VirtiualBox and simply download (link) the relevant VirtualBox binary for the operating system which your computer uses (Windows/Mac OS X/Linux/Solaris). Step 2: Find the location where the VirtualBox binary has been downloaded and install by following the instructions shown on the screen. Step 3: Now go to the VMLite website and just download (link) a copy of Ice Cream Sandwich, which has been preconfigured for virtualization and has seamless mouse support for easy navigation. Take note that the download is 88MB in size so you better have a good internet connection. Step 4: Now, locate the ‘Android-v4.7z’ file which has been downloaded and extract it. Step 5: After extraction, find the file named ‘Android-v4.vbox’ from the archive. Step 6: Double-click on the above-mentioned file and it will load the VirtualBox application and boot up the ICS file. Step 7: When the boot menu appears, press ‘start’ on top of the toolbar and select the option ‘Android Startup from /dev/sda’ if required. Step 8: Now, the Android 4.0 should start booting up and in the end allow you to enjoy what Android has to offer. might not be as smooth, but at least you’ll be able to launch apps and widget customization, etc.